Nothing says spring like pink blossoms. 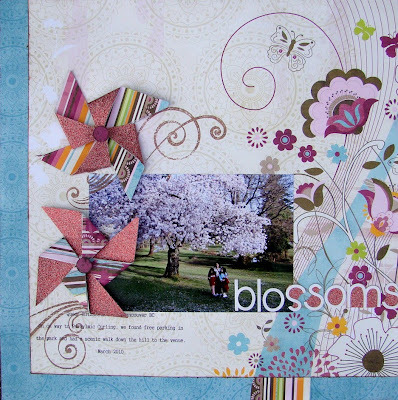 This is my take on the April Sketch posted on at Scraptivity. Start with any size square of double sided patterened paper. If you don't like the pattern on one side, don't worry, just cut the same size square from any other piece you like and adhere together. Once you are happy with the paper choice, draw a small circle in the middle of one side. Using scissors, cut from the corners to the circle you drew in the centre, do this to all four corners. Choose either the right or left side of the triangle shapes to fold into the middle. It doesn't matter which side you fold into the middle, just that you always choose the same side for each of the four pieces. Continue folding the corners to the middle. Once all four are folded, adhere them to the middle with some adhesive. I like using pop up squares. 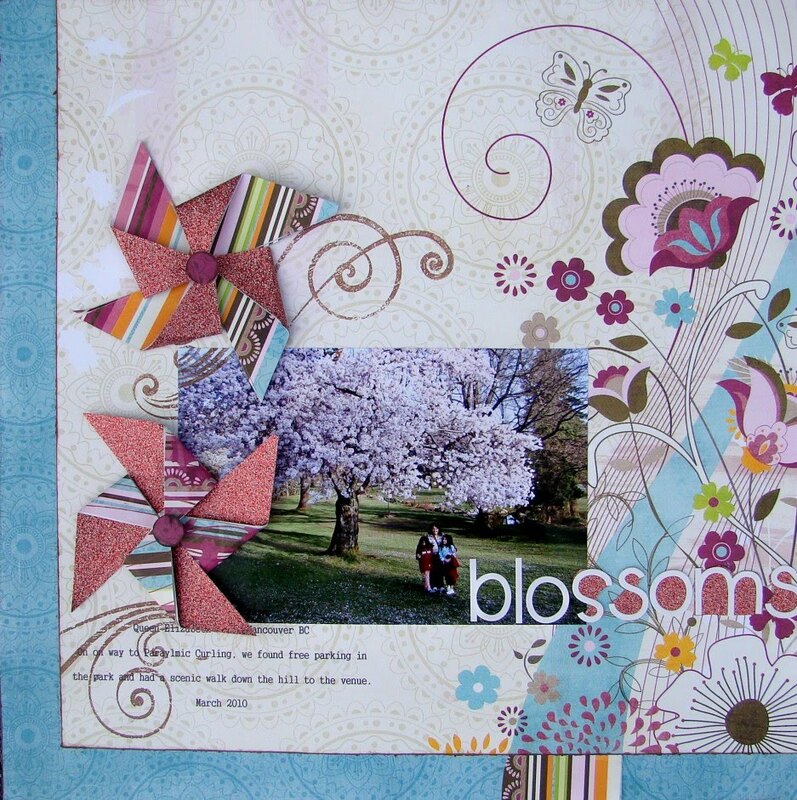 Embellish the centre how you like, and you have a great spring addition to any page. Nice layout! Thanks for the pinwheel instructions. Will have to try that sometime.